Firstly I’d like to apologize for not posting all that regularly, but I do have a good excuse. A major concern for all students, throughout their courses at university, is money. Often the student loans and grants don’t even get close to covering the costs of supporting the student lifestyle. This means that summer is a perfect time to earn some extra cash to get you through the year, if you can manage to find a job that is. 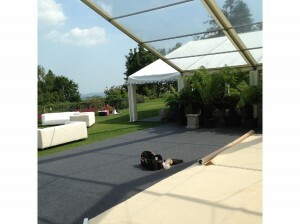 This year I have been lucky enough to find work straight away working with a marquee company. Essentially what I do is put up marquees and take them down again for events such as weddings, parties, corporate events or anything else clients want to use them for. There are a few big names on our client list too, just last week we put up the marquee for the BBC junior bake off, which I think is pretty cool. 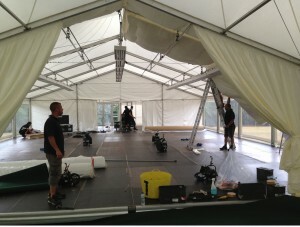 I’ve added a few images for you to see some of the marquees that I’ve been working on in the past few weeks. It’s a perfect job for the summer, especially with the weather we have had this year. It is however hard work, the days are long, sometimes 14 hours long (which is why I haven’t been able to post all that often) and often quite physical but that just makes days off all the more enjoyable. If you don’t mind that then I would defiantly recommend looking into it for summer work. After working hard for the past month, I can’t wait for my holiday to turkey this week with my family so you won’t be hearing from me for a few weeks, but I’ll be sure to post about it when I’m back, see you all soon.